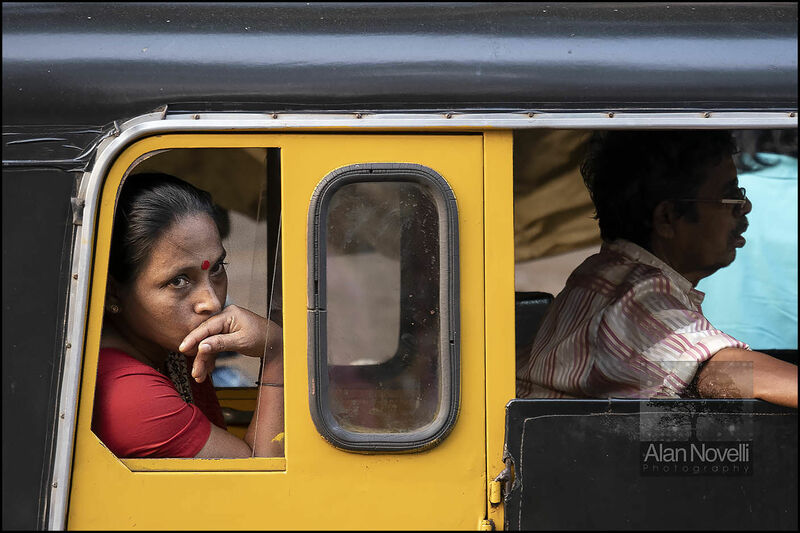 I spotted this local lady in the back of a Tuk Tuk in queuing traffic while I was shooting a religious festival at a church in the centre of Panjim City. What is she thinking about? Where is she going? What is her life like? I'd love to know the answer to these questions... I have deliberately left the driver in deep shadow during post processing so that the image is all about her and her thoughts.